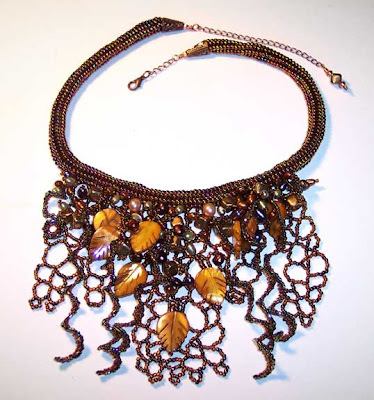 I just received word that Autumn Arbor has made the first cut in the Fire Mountain Gems and Beads 2009 beading contest. Now I have to send it in for the next round of judging. 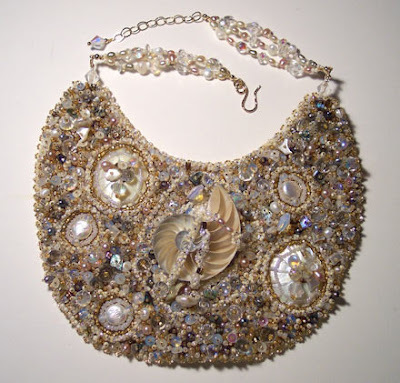 Last year, my over-the-top piece called Andromeda's Pearls won first place in the pearls category. I don't really think I'm going to have a repeat with Autumn Arbor in the seed beads category, but I guess you never know! Congratulations! Both pieces are beautiful. I like the "laciness" you created with the seed beads. And the spirals. That's cool!